If you don’t have a generator, get an inverter which can recharge small items (cells phones, laptops) from your auto. What would you do if you were without electricity for 2 weeks? 1. 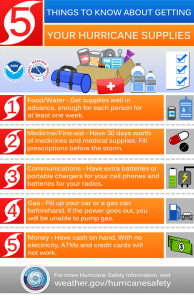 If you don’t already have a hurricane plan… now is the time to get one. 2. Just in case… look over your evacuation route… should it become necessary. 3. Bring lightweight items indoors… when you can… over the next 24 hours. 4. Have a plan for your pets. 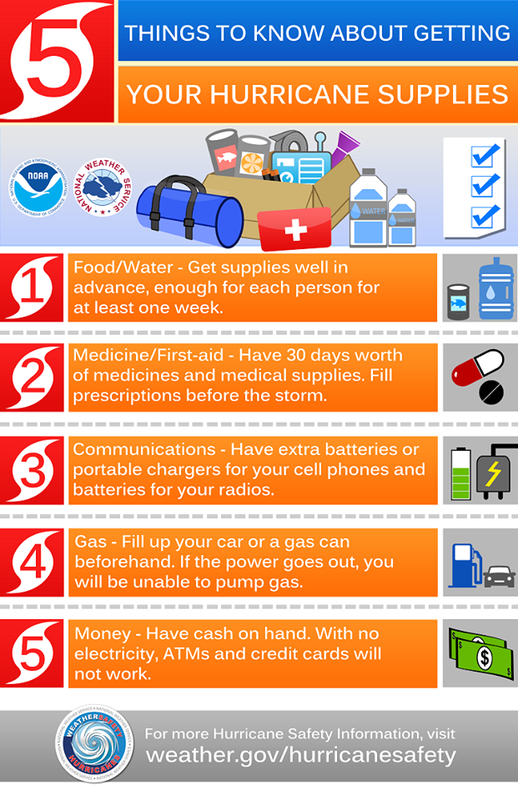 The NWS office in Raleigh NC put out this infographic on hurricane preparation which contains much the same information. You can get more information on hurricane safety at weather.gov/hurricanesafety.